Cervical cancer (CC) and genital warts (GW) are a significant public health issue in Venezuela. Our objective was to assess the cost-effectiveness of the two available vaccines, bivalent and quadrivalent, against Human Papillomavirus (HPV) in Venezuelan girls in order to inform decision-makers. A previously published Markov cohort model, informed by the best available evidence, was adapted to the Venezuelan context to evaluate the effects of vaccination on health and healthcare costs from the perspective of the healthcare payer in an 11-year-old girls cohort of 264,489. Costs and quality-adjusted life years (QALYs) were discounted at 5%. Eight scenarios were analyzed to depict the cost-effectiveness under alternative vaccine prices, exchange rates and dosing schemes. Deterministic and probabilistic sensitivity analyses were performed. Compared to screening only, the bivalent and quadrivalent vaccines were cost-saving in all scenarios, avoiding 2,310 and 2,143 deaths, 4,781 and 4,431 CCs up to 18,459 GW for the quadrivalent vaccine and gaining 4,486 and 4,395 discounted QALYs respectively. For both vaccines, the main determinants of variations in the incremental costs-effectiveness ratio after running deterministic and probabilistic sensitivity analyses were transition probabilities, vaccine and cancer-treatment costs and HPV 16 and 18 distribution in CC cases. When comparing vaccines, none of them was consistently more cost-effective than the other. In sensitivity analyses, for these comparisons, the main determinants were GW incidence, the level of cross-protection and, for some scenarios, vaccines costs. Immunization with the bivalent or quadrivalent HPV vaccines showed to be cost-saving or cost-effective in Venezuela, falling below the threshold of one Gross Domestic Product (GDP) per capita (104,404 VEF) per QALY gained. Deterministic and probabilistic sensitivity analyses confirmed the robustness of these results. The online version of this article (doi: 10.1186/s12889-017-4064-7) contains supplementary material, which is available to authorized users. Cervical cancer (CC) is the fourth most common cancer in women worldwide with an estimated toll of 528,000 new cases and 266,000 deaths in 2012 . In Latin America and the Caribbean region (LAC) the age-standardized incidence rates ranged from 14.6 to 44.0 per 100,000 women per year, values probably underestimated due to insufficient coverage and frequency of screening, inadequate collection and analysis of cytological samplings as well as incomplete follow-up of cases [2, 3]. The Bolivarian Republic of Venezuela is a South-American country with a population of 27.2 million people where 1 in 3 women is aged 15 years and older and are at risk of developing CC . In this country, CC is the first most common female cancer in women aged 15 to 44 years, accounting for 1,973 new cases diagnosed in 2011 and 1,789 new CC-related deaths annually for all ages [5, 6]. The Human Papillomavirus (HPV) infection occurs commonly in sexually active women; it has been identified as the necessary cause of CC and has been associated with other types of cancer [7, 8, 9]. High-risk types of HPV (HPV 16, 18, 45, 31, 33, 39, 52, 58 and 35) have been recognized as a necessary etiological agent for the development of CC and premalignant cervical lesions, being detected in up to 99.7% of such cases [10, 11, 12, 13]. Low-risk HPV types (6, 11, 34, 40, 42, 43 and 44) have been associated with genital warts (GW) and low-grade cervical lesions. Among Venezuelan women, HPV types 16 and 18 were identified as the most common high-risk HPV types with an overall prevalence of 80% in patients with CC [14, 15]. It is established that CC comprehensive prevention approaches, including well-organized cervical screening programs using Papanicolaou smear tests (Pap), can reduce CC incidence and mortality . Additionally, the introduction of HPV vaccination is expected to also reduce the burden of CC . Currently, there are two available vaccines: a bivalent vaccine targeting high-risk HPV 16 and 18 (Cervarix™, GSK) and quadrivalent vaccine targeting, in addition to the above, also low-risk HPV 6 and 11 types (Gardasil, Merck) . Both vaccines have proven efficacy in the prevention of lesions associated with the HPV types they target [19, 20].. Currently in Venezuela, there is a nationwide CC screening program including Paps for women of 25 to 65 years old. However, the HPV vaccine has not yet been incorporated into the national vaccination program and consequently, there is no vaccination coverage [5, 21]. Cost-effectiveness analysis is a useful tool to assist decision makers in assessing the value of specific interventions and inform resource-allocation decisions. Several models based on economic evaluations have been conducted to assess the cost-effectiveness of interventions that reduce HPV-associated premalignant and malignant lesions in Latin America, including vaccination [22, 23]. The results of the analyses vary widely from country to country due to differences in epidemiological factors such as the incidence of certain HPV-related diseases, local treatment patterns and related costs . Therefore, a country-specific assessment needs to be conducted in order to suitably inform local decision-makers. The aim of the present study was to perform an economic evaluation based on a cohort model adapted to estimate the lifetime cost and clinical outcomes of vaccination with the bivalent and quadrivalent vaccination schemes, comparing them with the current policy in Venezuela of no vaccination. A previously published lifetime Markov cohort model with a 1-year cycle was adapted to reflect the Venezuelan setting. The model simulated the natural history of oncogenic HPV in CC, the effect of screening and the impact of vaccination over the lifetime of the cohort. [24, 25, 26] The current model has been extended to include infection with low-risk HPV types (HPV 6 and HPV 11) that might progress to cervical intraepithelial neoplasia grade 1 (CIN1) and/or to GW (Fig. 1) [18, 27]. The perspective was stated as of the healthcare payer including direct medical costs only. The analysis allowed the estimation of costs and effects of each of the three intervention strategies: current screening program, current screening program in addition to vaccination with the bivalent vaccine, and current screening program in addition to vaccination with the quadrivalent vaccine. For this analysis, a lifetime horizon was adopted. In order to reflect the range of possible results taking into account different vaccine costs, alternative exchange rates for Venezuela, and 2-dose schedule vs. 3-dose schedule, eight scenarios were considered for the base-case analyses, as detailed in the following sections. An extensive review of the literature was done in MEDLINE and LILACS. Local information related to epidemiology, use of resources and costs associated to HPV-lesions treatment was collected. Priority to local sources of information was given. Selected parameters were used to populate the model and were reviewed and validated by experts. Input parameters included are summarized in Table 1. Based on demographic data from the National Institute of Statistics of Venezuela, the model included a cohort of girls aged 11 years (n = 264,489) . Vaccination coverage was assumed to reach 95% for a 3 dose scheme [5, 21], similar to what was previously assumed for an economic evaluation using the same model in Chile and the coverage observed for other vaccines in the country . The model requires cost data for five health events’ treatments: screening, CIN1, CIN2/3, genital warts and cancer. In all cases we estimated expected costs using a micro-costing approach, which required to identify the resources used, the intensity of use and their unit costs. The list of resources were obtained from local literature  and their expected use was estimated using annual utilization rates obtained from administrative databases of Dr. Luis Razetti Oncologic Institute from Caracas, Venezuela, and validated through an expert opinion. All unit costs are of 2015 and were obtained from five local private health facilities, two of them of primary health care where 85% of the population with private coverage usually attend, while three with a high complexity level. Public tariffs were approximated from the last available Gaceta Oficial  and a private ambulatory health facility similar in costs. Finally, tariffs were weighted according to the distribution of utilization of public (74%) and private (26%) institutions . When necessary costs were adjusted using the national Consumer Price Index  Details about unit costs, expected quantities and expected costs, treatment costs, vaccination costs per scenario and total costs (micro-costing) can be found in the Additional file 1. Vaccine prices per person were calculated as the unit price of vaccines multiplied by the number of doses. Delivery costs were assumed to be equal for both vaccines and therefore were not considered in the analysis. Because there was uncertainty at the time the study was done about the price that Venezuela would pay once the vaccines were incorporated into the national program, two of the scenarios were projected considering equal price per dose at US$ 8.5 for each vaccine. The other scenario considered differential prices: US$ 8.5 per dose of the bivalent vaccine and US$ 13.79 per dose of the quadrivalent vaccine. These prices are based on last available Pan American Health Organization (PAHO) price agreements and projections for both vaccines, that is for 2013 . A key issue in the analysis is the election of the exchange rate. While expressing all values in USD or in VEF does not change results, the election of the rate does it because vaccines prices comes in USD and all the other costs are local estimations expressed in VEF. At the moment the analysis was done, there were in Venezuela several prevailing exchange rates and considering that it is not clear which one truly represents the opportunitiy costs of trading currencies, we decided to represent this uncertainty creating two scenarios for the most relevant rates: the exchange rate of 6.3 VEF per US$ (agreement No. 14, Ministry of Health of Venezuela vaccines purchase exchange rate) and the exchange rate of 170 VEF per US$ (agreement No. 33, regular citizens purchase exchange rate). Hence, choosing one rate over the other makes costs vary 27 times. Vaccine prices obtained from the PAHO Revolving Fund in US$. For the estimation of vaccine effectiveness, HPV type-specific vaccine efficacy for both vaccines was considered as 98% against CC, CIN1 and CIN2/3 associated with HPV 16 and 18 with a lifelong duration [43, 44, 45]. The combined efficacy of the ten most frequent oncogenic HPV non-vaccine types (31,33,35,39,45,51,52,56,58 and 59) was considered jointly. Vaccine efficacy for these types, for the quadrivalent vaccine was 23.4% (95% Confident Interval – CI : 7.8-36.4) and 32.5% (95% CI: 6.0-51.9) for CIN1 and CIN2+, respectively . Vaccine efficacy for the bivalent vaccine for these ten non-vaccine oncogenic types was 47.7% (95% CI 28.9 to 61.9) and 68.4 (95% CI: 45.7 to 82.4) for CIN1 and CIN2+, respectively [47, 48, 49, 50]. Considering the latest evidence regarding the efficacy of the 2-dose scheme, case scenarios comparing the 2-dose schedule vs. the currently approved 3-dose schedule were developed; the same level and duration of efficacy and cross-protection were considered for both regimes [51, 52, 53, 54, 55, 56, 57, 58]. In all scenarios, the duration of cross-protection for the base-case was set at 10 years, with a 5-year waning period. For Venezuela, we needed to consider eight different plausible base-case scenarios, defined by the combination of a) two different official exchange rates, b) two number of doses per scheme, and c) two differential prices of vaccines (Table 2). The present exercise explored health outcomes and disease-related costs for the different scenarios considered; we considered life years (LYs), QALYs, number of cervical cancer cases and deaths, number of new and recurrent genital warts, and total costs other than vaccination, including costs of screening, of CIN cases, warts and cancer cases. Another set of outcomes explored was the vaccine costs per scenario. The health benefits and costs were discounted at an annual rate of 5.0% based on guidelines recommendations for economic evaluations in LAC . The effect of this discount rate on the outcomes was assessed in the different scenarios. The model was calibrated by modifying input parameters to match the model output to the data from vital statistics of Venezuela, keeping transition probabilities within pre-determined ranges of plausibility (Fig. 2). Age-specific CC incidence and mortality rates, as well as the overall number of cases and deaths estimated by the model were matched to observed vital statistics’data. On average, modeled event rates were within +/-10% of the observed event rates. Age-specific CC incidence and mortality were graphed and the resulting estimated and observed curves were visually explored to confirm a good fit. Since up-to-date cancer incidence data are likely to reflect a worse screening coverage prevailing in the past, the model was also calibrated using coverage rates representative of the Venezuelan situation 15 years ago, according to the consensus opinion of the group of authors. Parameter uncertainty was represented with one-way and multi-way sensitivity analyses. The objective in the first case was to identify the main drivers of results. Each parameter was varied separately from its base-case value according to a specific range (Table 1) which for all parameters were defined following three strategies according to the availability of information: i) using the reported confidence intervals when possible ii) approximating them using the percentage of variations reported in other studies [22, 60] iii) approximating them based on expert opinions.. The analysis was performed for the eight scenarios and summarized in tornado diagrams for costs and QALYs separately. Since the construction of the eight scenarios affects only costs, we included one tornado diagram for QALYs. (see Appendix) The probabilistic exercise was performed for each scenario to quantify the effect of uncertainty surrounding the model input parameters and to calculate probabilities of being cost-effective. In every case 1,000 simulations were generated to produce a distribution of the model results (Table 1) and was performed comparing both bivalent and quadrivalent vaccines vs. screening alone and bivalent vs. quadrivalent vaccines schemes. Simulations were plotted on the cost-effectiveness plane and used to construct cost-effectiveness acceptability curves (CEAC). These curves depict the probability of being the cost-effective option of the three (to have a higher monetary benefit)  for each intervention according to different units of GDP per capita as threshold values. The values the curves show can be interpreted as the probabilities of being the preferred option at different cost-effectiveness thresholds . Only scenarios 2 and 4 (same vaccine price with 2-dose schemes) were presented for sensitivity analyses, and the rest can be found in the additional online material. The model was calibrated to properly reflect the epidemiology of Venezuela. The model predicted rates of CC incidence and deaths closely matched to the incidence data for invasive CC reported by Globocan 2012  and the mortality data for invasive CC reported by the National Mortality Yearbook of the Ministry of Health of Venezuela , as shown in Fig. 2. The difference between the observed and the modeled cumulative CC cases and deaths was below 10%. For the cohort of 264,489 girls, the most important health outcomes and disease-related costs, discounted and undiscounted, are depicted in Table 3-A. These results show the differential gains between bivalent vaccine vs. no vaccination, quadrivalent vaccine vs. no vaccination and both vaccines against each other. Also, these results do not differ between scenarios, as their differences are mainly due to vaccine-related costs and exchange rates used for the different scenarios. Independently of the type of vaccine considered, there are gains in QALYs, life-years (LYs), CC cases and prevented deaths as compared to no vaccination, both considering discounted and undiscounted results. When comparing both vaccines against each other, the bivalent vaccine gains 3,544 undiscounted additional QALYs vs. the quadrivalent vaccine. Also, there are fewer CC cases and related deaths with the bivalent vaccine than with the quadrivalent for both undiscounted and discounted results. Regarding GWs, the quadrivalent prevented 18,469 new and recurrent GW cases (not discounted). Excluding the costs of vaccination, total medical costs for bivalent vaccine are slightly higher in the discounted scenario and lower in the undiscounted, when compared to the quadrivalent vaccine. The overall cost of the different vaccination programs for each scenario are presented in Table 3-B for the 2-dose scheme scenarios (2, 4) and in Additional file 1: Table S2 for the 3-dose scheme scenarios (1, 3, 5 and 7) and 2-dose scheme scenario with differential pricing for vaccines. Discounted results for incremental QALYs, costs and cost-effectiveness ratios between bivalent and quadrivalent vs. no vaccination strategies and vaccines against each other (considering different scenarios for the vaccine costs) are summarized in Table 4 and Additional file 1: Table S3. Whatever vaccine-cost scenario is considered, any vaccination strategy is cost-saving or cost-effective compared with the status quo (no vaccination) using a 1 GDP per capita threshold. When comparing the bivalent vs. the quadrivalent vaccines, ICERs showed that there were small differences between them for the first six scenarios; however, when different prices per dose are considered, under and at an exchange rate equal to 170 VEF per US$, the bivalent strategy is dominant (Scenarios 7 and 8). Tornado graphs for QALYs differences (Fig. 3) resulted in similar shapes for bivalent and quadrivalent vaccination strategies when compared to no vaccination. Discount rate was the main determinant due to differential horizon of costs and benefits, followed by transition probabilities. When comparing bivalent vs. quadrivalent strategies, the differences in QALYs (x-axis) were lower. Once again, the discount rate was the main determinant of variation. Cross-protection was the second parameter in importance and had a symmetrical and inverse impact over incremental QALY; that is, when no cross-protection was assumed, difference in QALY became lower and more negative, but when we considered a lifetime cross-protection, the impact was not so relevant in magnitude. These variations in assumptions do not change the conclusion that vaccines are cost-effective vs. screening alone. Tornados graphs corresponding to the 2-dose scheme analysis (scenarios 2 and 4) are presented in Fig. 4 and 3-dose scheme analysis (scenarios 1, 3, 5 and 7) and scenarios with different vaccine prices with 2-dose scheme can be found in the Additional file 1. No parameter can modify the cost-saving results when any vaccine is compared with no vaccination in scenarios 2 and 6. There are several parameters than can modify the cost-saving result when any vaccine is compared with no vaccination in scenario 4 or when the bivalent vaccine is compared with no vaccination in scenario 8 (the most significant ones are the discount rate and the transition probabilities). Finally, only the discount rate can modify the result that the quadrivalent vaccine requires a positive investment in order to generate a cost-saving result (as shown for the bivalent vaccine) in scenario 8. The sensitivity analysis between vaccines showed that no parameter could modify the result that the quadrivalent vaccine was more costly than the bivalent vaccine in scenarios 2 and 6. The costs of both vaccines are the only parameters that can modify the result that the quadrivalent vaccine is more costly than the bivalent vaccine in scenario 4. Finally, no parameter can modify the result that the bivalent vaccine is less costly than the quadrivalent vaccine in scenario 8. Cost-effectiveness plane and CEACs for interventions are presented in Fig. 5 for the scenarios 2 and 4. The other scenarios can be found in the Additional file 1. In each scenario, a first scatter-plot graph shows the results for both vaccines vs. no vaccination, and a second one shows the comparison of the vaccines against each other, with a 5% discount rate. PSAs confirm that both vaccines are cost-saving or cost-effective vs. no vaccination considering one GDP per capita (104,404 VEF), regardless of the discount applied (data not shown). Both the scatter-plots and the acceptability curves reflect the uncertainty from the three main variables that shape the different scenarios (i.e., exchange rates, number of doses and vaccine costs) and no superiority was detected of one vaccine over the other in scenarios 2, 4 and 6. In the scenarios considering a differential vaccine cost and an exchange rate of 170 VEF per US$ (scenario 8), the bivalent vaccine has 64% probabilities of being dominant and 100% probabilities of being cost-saving compared to the quadrivalent vaccine. The results are very sensitive to the discount rate (data not shown). Acceptability curves for the studied scenarios indicate the probability that the intervention is cost-effective when compared to the alternatives, according to different thresholds or monetary values of QALYs expressed as units of GDP per capita. In all cases, the curves support the results suggested by the scatter plots. When comparing both vaccination interventions to screening only, all scenarios show that vaccines options are a cost-effective choice; however, in the comparison between vaccines, the analysis becomes diffuse. In one hand, the scenarios 2, 4 and 6 show the quadrivalent vaccine as the option with the higher probabilities of being the most cost-effective choice, with a threshold of at least 1 GDP per capita. The last scenario (scenario 8) on the other hand, shows the bivalent vaccine as having the highest probability of being the most cost-effective intervention. These results suggest, therefore, that the probability of being the most cost-effective intervention deeply depends on the scenario selected for analysis of exchange rate and vaccine prices. Our study assessed the cost-effectiveness of HPV vaccination of 11-year-old girls in Venezuela vs. status quo (current screening strategy), from the healthcare system perspective, through adapting to this country a cohort model that has been used previously in other nations [18, 28]. Both vaccines currently available against HPV, the bivalent and the quadrivalent, were evaluated. The model was calibrated to reflect local HPV epidemiology in Venezuela. Similarly to other studies, we faced difficulties to examine this issue in terms of the significant uncertainty of many model parameters, such as intervention, outcome costs, local epidemiological information and vaccine efficacy. Moreover, many countries are adopting a 2-dose scheme, even though the evidence is not as strong as for the 3-dose schedule. Due to the current economic context in Venezuela, additional hurdles were to obtain adequate currency exchange rates to use (since the impact of the international price of the vaccine may vary greatly), as well as comparative vaccine prices. Though recent official prices showed that the bivalent vaccine was less costly, we considered an equal price per dose as well. So, instead of reporting a single base-case analysis, as it is usually the case in economic evaluations, and in order to incorporate these ranges of possible results, we needed to consider eight base-case scenarios including different exchange rates, different and equal vaccine prices and 2- and 3-dose schemes. As a limitation of the model, vaccine delivery costs were not considered. However these costs do not alter results when comparing vacines, and in the scenarios versus no vaccination, the diferences observed in cost per QALY-gained are so important that the effect of including them would be within the range of what is considered cost-effective. It is worthy to highlight that although the model was calibrated adequately with the epidemiologic value ranges reported by the Ministry of Health, the lack of accurate national information on some key parameters made us frequently use estimates from international literature and expert validation, similarly to previous studies. Our main findings were that HPV vaccination in 11-year-old girls in Venezuela would significantly reduce HPV-related diseases, and that they would be either cost-saving or cost-effective in all scenarios. Both the bivalent and quadrivalent vaccines showed similar results against no vaccination. On six scenarios assessed, avoided costs were greater than costs of vaccination, resulting in cost-saving strategies. In two scenarios only – those using higher exchange rates and differential vaccines costs-vaccination was more costly than current screening. Nevertheless, in both cases, both vaccines were cost-effective, with costs per QALYs of less than 1 GDP per capita. While the bivalent vaccine reduced a larger number of CC cases and deaths as compared with the quadrivalent vaccine, the quadrivalent reduced also the number of GWs. The net effect was a slight difference in LYs and QALYs in favor of the bivalent vaccine, though these results were highly dependent on the assumptions of the study, especially in cross-protection and incidence of GW. It was clear and consistent that any vaccination strategy for HPV prevention would not only be beneficial for the health of women in Venezuela, but it would also be cost-saving or cost-effective, and thus a good intervention from the public health point of view. There was uncertainty regarding the relative cost-effectiveness of both vaccines. Accordingly, it is difficult to draw conclusions on the comparative performance of the different vaccines since the results are less clear and had significant heterogeneity in the tested scenarios: in some scenarios the bivalent vaccine was cost-saving or cost-effective compared to the quadrivalent, while in others it was clearly not. 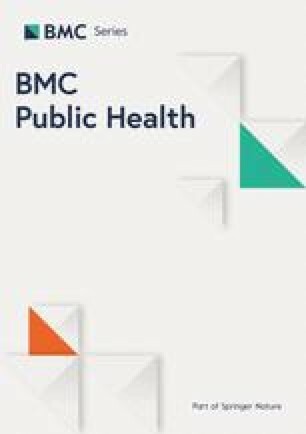 Despite uncertainty in Venezuela concerning costs data, exchange rates and epidemiological parameters, the main conclusion of the present study is that HPV vaccination provides significant health benefits, being either a cost-saving or a cost-effective strategy against the current practice of screening and no vaccination. Given the uncertainties identified and because of the relatively similar overall benefit of both vaccines measured in LYs or QALYs, the decision of choosing one vaccine over another should take into consideration not only the cost-effectiveness, but also other aspects that differentiate both vaccines that can be valued in the local context. We thank Dr. Luis G Capote-Negrín (Regional coordinator of the Cancer Registry, Ministry of Health, Venezuela) and Dr. Jorge Sánchez-Lander (Gynecology Department, Oncology Institute “Dr. Luis Razetti”, Caracas, Venezuela) for providing data for the elaboration of this report and librarian Daniel Comandé at IECS for his help with the electronic searches. We also thank Marcela Perez (Random Foundation on behalf of GSK) and Maria A. Clavijo Salomón (Random Foundation on behalf of GSK at the time of writing and currently University of Sao Paulo, Institute of Biomedical Sciences) for medical writing assistance, Ingrid Leal and Sylvia Amador (GSK) for publication development support. Editorial support was provided by Gregory Collet (Business & Decision Life Sciences on behalf of GSK). GlaxoSmithKline Biologicals SA was the funding source and was involved in all study activities (GSK study identifier: HO-14-14442) and overall data management (collection, analysis and interpretation). GlaxoSmithKline Biologicals SA also funded all costs associated with the development and the publishing of the present manuscript. All authors had full access to the data and the corresponding author was responsible for submission of the publication. GSK discloses, upon authorization or termination of development of a medicine, anonymized patient-level data from that interventional study will be made available to independent researchers, subject to review by an independent panel, at www.clinicalstudydatarequest.com. To further protect the privacy of patients and individuals involved in our studies, GSK does not publicly disclose subject level data. Please get back to corresponding author regarding further questions on raw data or model sharing. AB, OUG, MC, APR, FA, SGM, LN, JAG and JC participated to the conception/design of the review; AB, OUG, MC, APR, PC, MG, JAG and JC participated to the collection/assembling of the data; AB, OUG, MC, APR, FA, SGM, PC, LN, JAG and JC performed/supervised the analysis; AB, OUG, MC, APR, FA, SGM, PC, MG, LN, JAG and JC participated to the interpretation of the data; MG participated to the application of the methodology in the specific case of Venezuela. All authors read and approved the final manuscript. The authors have sole responsibility for the writing and content of the paper. APR, SGM, AF, AB, MC, JC, OUG have nothing to disclose; JAG is an employee of the GSK group of companies and holds shares from the GSK group of companies; IECS has received grants from the GSK group of companies during the conduct of the study and grants from MSD outside the submitted work; LN is an employee of the GSK group of companies; MG reports personal fees from the GSK group of companies during the conduct of the study and personal fees from the GSK group of companies outside the submitted work (participation to the HPV Payers Advisory Board, Panama City, June 15th, 2012); PC reports personal fees from the GSK group of companies during the conduct of the study and personal fees from Roche, Bayer and MSD outside the submitted work. Cervarix is a trademark of the GSK group of companies. Pan American Health Organization: PAHO Revolving Fund. Vaccine prices. 2013. http://www.paho.org/hq/index.php?option=com_content&view=article&id=1864%3A2014-paho-revolving-fund&catid=839%3Arevolving-fund&Itemid=4135&lang=en Accessed 24 July 2015.